The idea behind this story is that a highway medium on a long highway could well be an isolated ecological system. In the story, dwarf rats and cats have evolved to live on the medium. The story appeared in Analog SF magazine in March, 2010. Here, two workers on the Moon Base try to delay their deaths from the heat of the approaching lunar dawn by hiding out under the scrim of a huge radio telescope. Their last hope rests on Skippy, the hopping moon vehicle--Australia's contribution to the space program. 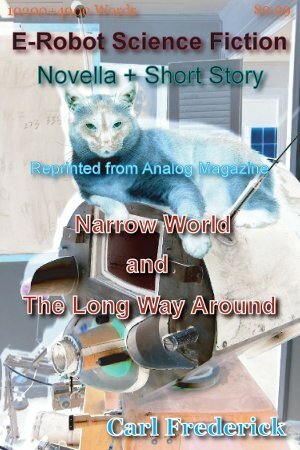 The story appeared in Analog SF magazine in Jul/Aug, 2010.